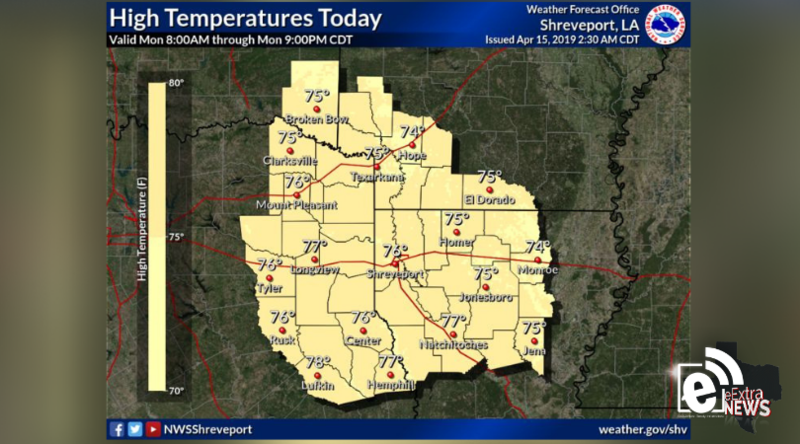 Near average temperatures are expected today with afternoon highs ranging through the 70s under mostly sunny skies. Southerly winds will return and become stronger through the afternoon hours, especially across the far NW sections of the region. Therefore, a Lake Wind Advisory in effect until 6 PM for southeast Oklahoma and parts of northeast Texas.